The [Ten Point Mayoral Safer Cycling Challenge](http://stopkillingcyclists.org/2015/08/03/press), launched today by campaign group Stop Killing Cyclists is a blueprint for making London a better city for all residents not just those who get about on a bike. 10% of the TfL budget on making streets more people friendly yes. Cycle infrastructure can make streets better for all residents and any cycle infrastructure improvements must include measures to make life better for people walking too. Technology is changing fast. If elected Mayor I would ensure that all high cab vehicles were fitted with the latest safety equipment to minimise blind spots and enable drivers to see people on bikes and on foot. I’d also insist on all TfL procured projects specifying low cab (like dustbin lorry) vehicles. I would want every borough to benefit from more people friendly streets. Enabling all boroughs to bring in Mini-Holland thinking and principles would be an absolute priority. It’s not just about mini holland schemes, all road spending should ensure active travel is the most safe and convenient means to get around. Visiting cities like Copenhagen, it is striking how people on bikes are not just the fit and the young. London needs to make cycling normal for everyone from 3 – 103 years old. And that means radically changing the way we use our street space, providing protected cycle routes that make journeys by bike easy, safe and a pleasure. 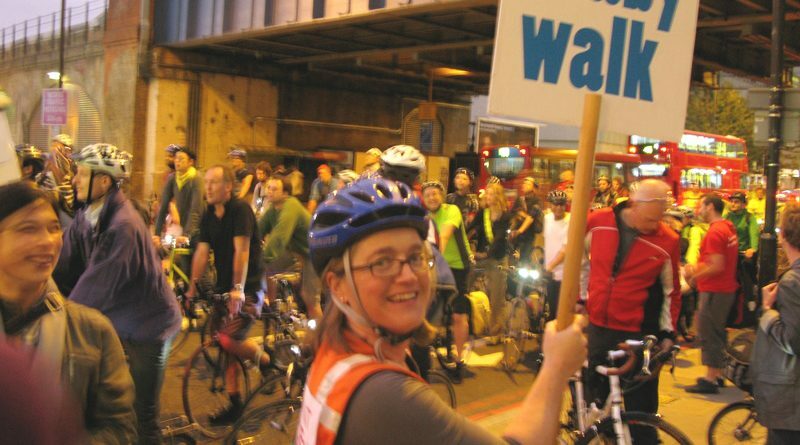 I was part of the Living Streets London Action Group team that came up with the case for #Cityof20 – 20mph on main roads where people live, work and shop. I was proud to have influenced the decision to bring in 20mph on all main roads in Islington. 20mph is not going to redesign our streets but it will reduce danger and make our streets less traffic dominated. So, yes. Allowing people on bikes to turn left turn against a red light at junctions (Idaho law) when there are no pedestrians crossing would help cyclists to get away from the lights (and danger from other vehicles). However it relies on people being considerate to pedestrians. I’d prefer to prioritise the redesign of junctions to design out left hook danger, but recognise that we may need an Idaho law solution as an interim measure as TfL are working through the list of junctions quite slowly. 7. End lethal time pressures on buses/tipper trucks. No vehicle driven commercially in London should have a time penalty built in to the driver’s pay or the performance monitoring of the company that owns the vehicle. Further, all drivers should have access to Confidential Incident Reporting and Analysis System (CIRAS) which is standard across the railways and has been introduced to the London bus network today. This will help identify and eliminate systemic risk on our roads as has been done so effectively on the rail network. Removing traffic from some of London’s streets is essential to make London a great city to live in, to work in and to visit. I still remember the excitement of the major West End street closures for the art event the Sultan’s Elephant nine years ago. We can do street closures and the world doesn’t stop turning. Imagine Parliament Square with less traffic. Of course the Mayor of London should enable the creative use of streets with closures on both a temporary and a permanent basis. I would support traffic removal on the full list of streets: Oxford St, Trafalgar Sq, Piccadilly, Parliament Sq, and Bank Junction. I’d want to see people representing all transport areas on the TfL board. So advocates for walking and cycling should definitely by represented. I would not change the name of TfL to the “London Cycling, Walking and Transport Authority”. I might however change it to “Transport for Londoners” – but to be honest that would not be a priority, I’d prefer to get the wider representation on the board rather than spending money on changing the stationery. I fully support a rush hour ban on tipper trucks and HGVs. It is extraordinary that we allow massive delivery lorries in to central London on streets crowded with people making their way to work, school or the shops. I would definitely support freight consolidation, electric delivery trucks and cargo bike deliveries as these would reduce road danger and clean up our air making London a better place to live. This ambitious plan is just what is needed to tackle some of the big issues facing our city. Congestion, pollution, road death, serious injury, obesity, lung and heart health problems, struggling high streets and lack of capacity on public transport are all issues that the Mayor of London can address effectively using mayoral power to set the strategic direction for transport planning through Transport for London. This plan will make London a better place to live whether we travel on foot, by bike, by public transport or in a car or van. If selected as the Green’s Mayoral candidate or as a candidate for the London Assembly list, I will champion the points in this plan as a way to make London’s streets fit for all Londoners. Note 1. Title updated to “10 by 2020” from “10 for 2020” which was taken from a Stop Killing Cyclists Facebook post this morning.